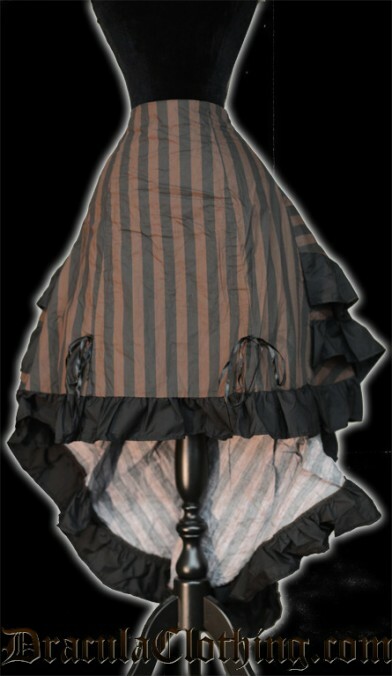 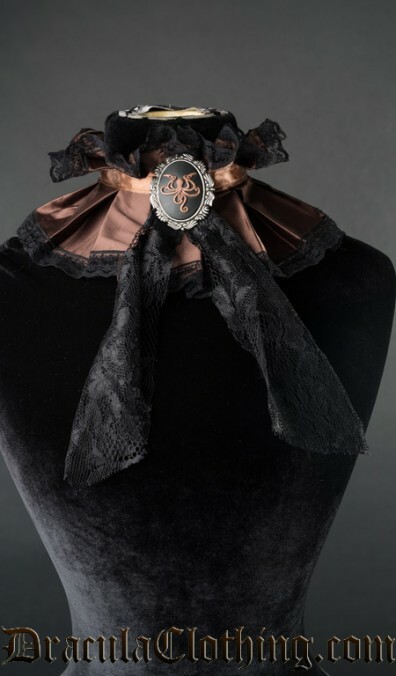 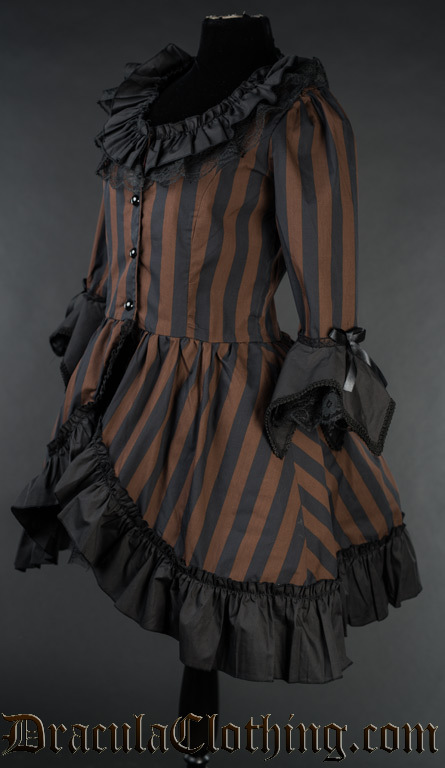 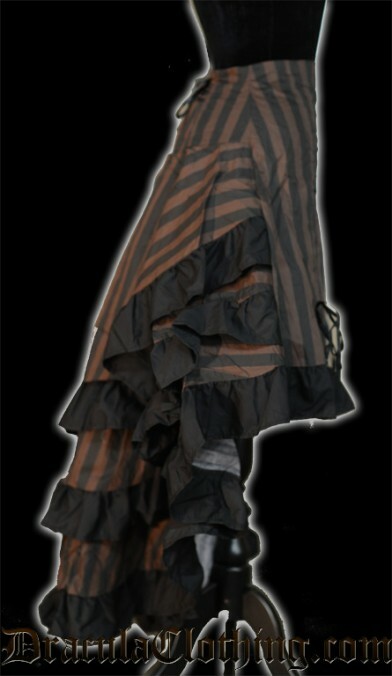 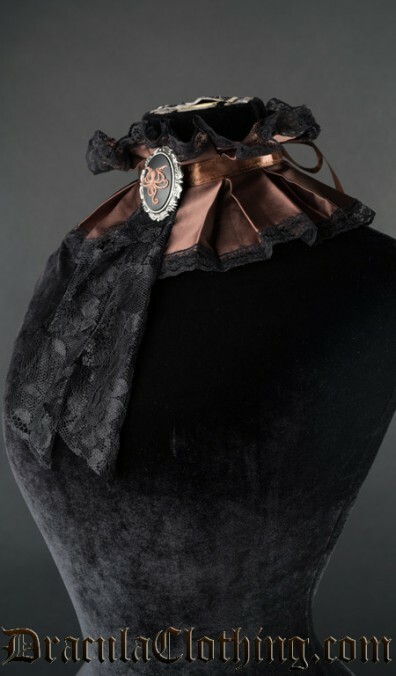 Elegant Victorian inspired overdress, here striped in black and brown for a more steampunk look. 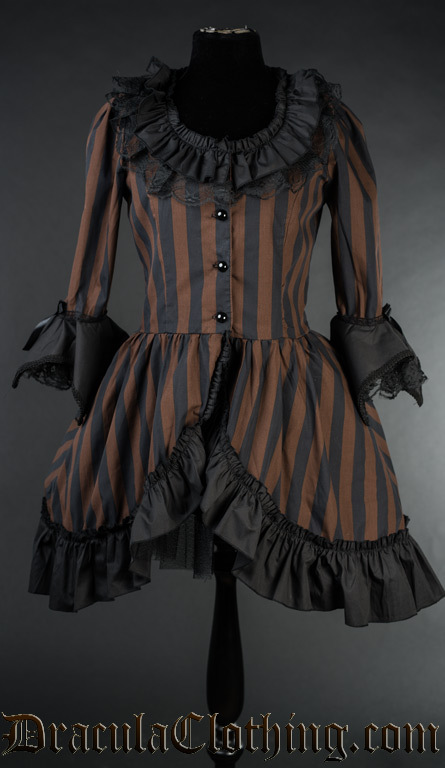 Ruffles and lacing at collar and sleeves. 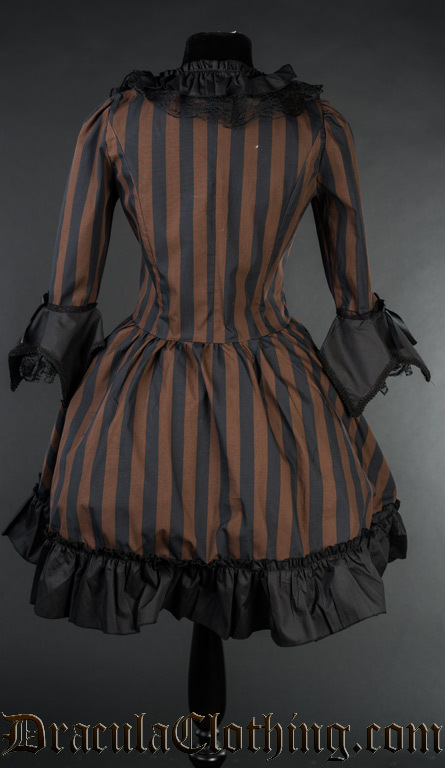 Wearable in many ways - unbutton the front and use it as a coat, or as a dress like in the picture.